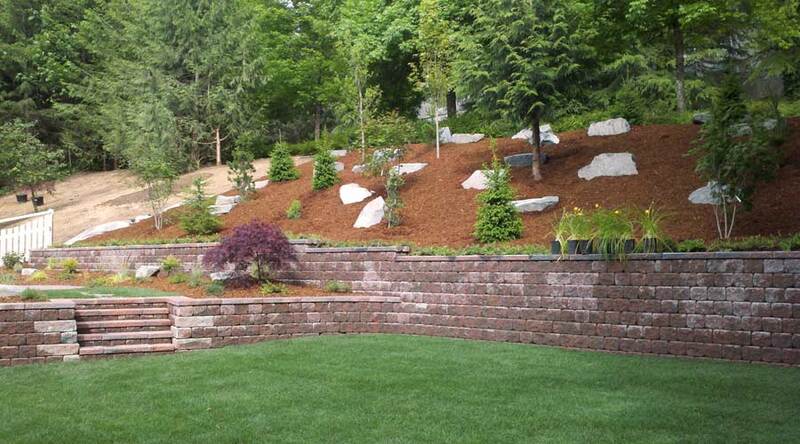 To complement the backyard features, we've created a matching softscape and retaining wall for the front yard, paying careful consideration to the original fir tree while adding complementary shrubbery and trees. 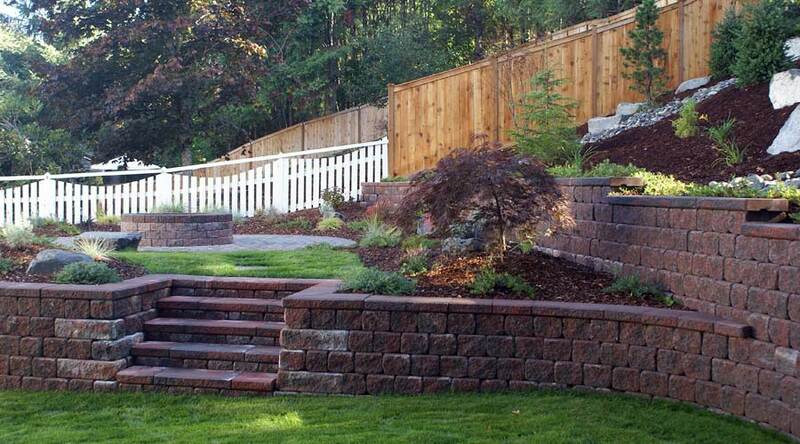 The finished backyard includes the split level retaining wall with stairs, low maintenance softscaping with mulch on top of weed fabric, and a lower lawn area. 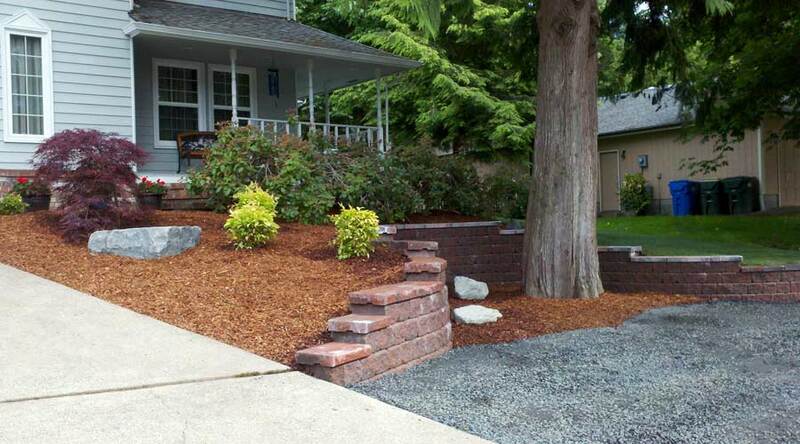 The stairs on the lower lower level of this split retaining wall lead to a small landing area with a fire pit. This is a cozy gathering area to chat with friends while children play in on the lower lawn. 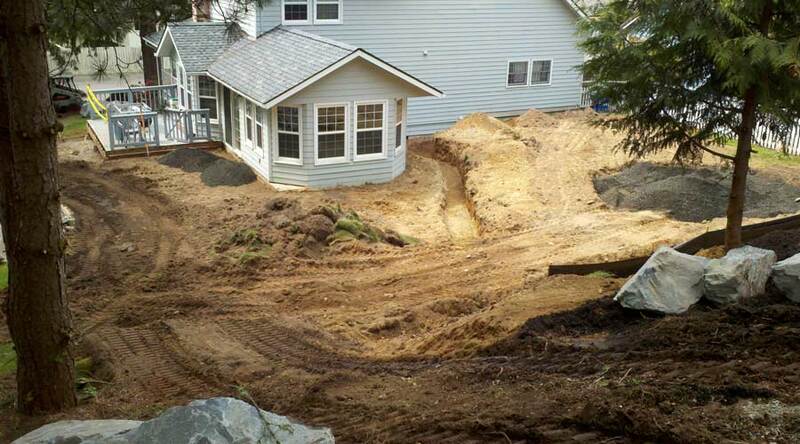 The goal with this split level retaining wall project is to transform this unfinished lot into a useful living area, maintaining the natural slope of the hill in the backyard and adding softscaping to blend in with the native landscape. 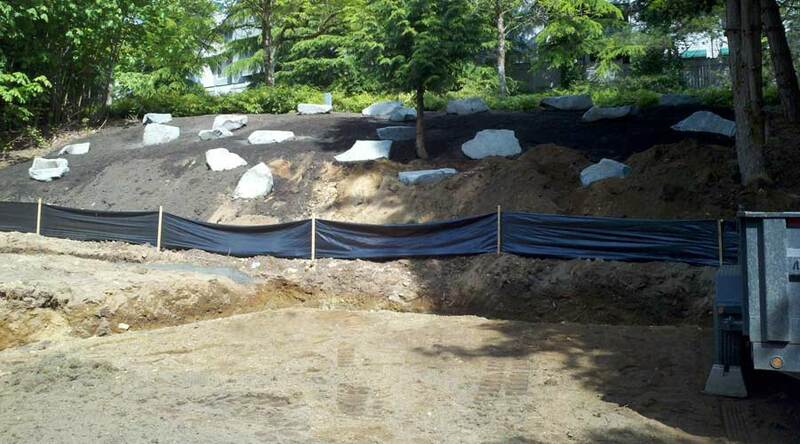 Here we've prepared drainage and irrigation systems, arranged granite rocks on the rear hill, and prepared the yard for installation of the retaining wall.